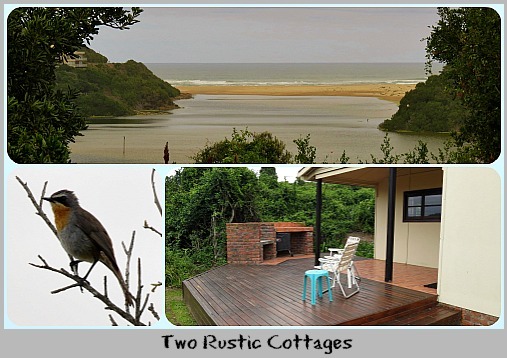 The two rustic cottages, Wagtail and Tortoise are a stone’s throw from the Swartvlei Lagoon and Kingfisher Drive boat launch, in a perfect area for holidaymakers looking to enjoy Sedgefield's incredible natural beauty. Apart from a few minor differences the rustic cottages are virtually mirror images of each other. 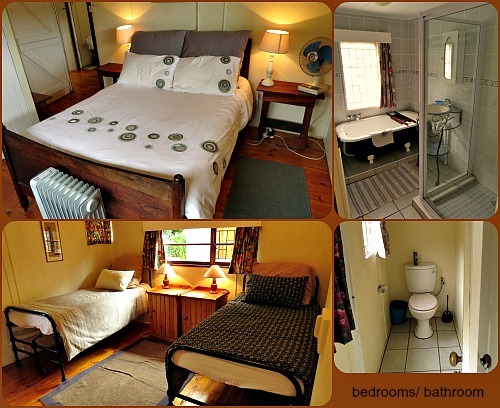 Both cottages comfortably sleep up to four people. It is a short walk to the boat launch on the lagoon and easy walking distance to the river-mouth. 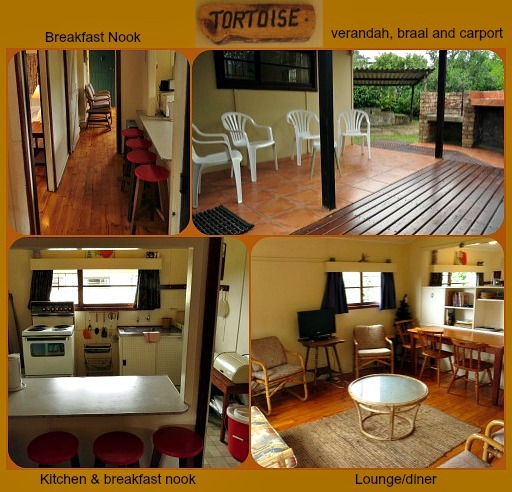 Both cottages have conveniently situated outdoor built-in braais. Both have TV’s but you need to bring your own decoders and smartcards. Alarm systems are installed in both cottages. There are no washing machines in the cottages so laundry must either be done by hand or use made of the laundrettes in town. A single advantage of Wagtail Cottage is that the thick hedge of indigenous greenery that offers the residents privacy from the road opens in a spot in front of the house to reveal a magnificent view of the Swartvlei Lagoon all the way to the river mouth. For bird lovers, these indigenous thickets provide protection and food for a host of birds like Southern Boubous, Cape Robin-Chats, White-eyes, Sombre Bulbuls, Cape Bulbuls, Burchell's Coucal, Klaas's Cuckoo, Diderick Cuckoo, Bar-throated Apalis, Bokmakerie, Black-headed Oriole and several types of sunbirds. This is not an exhaustive list! 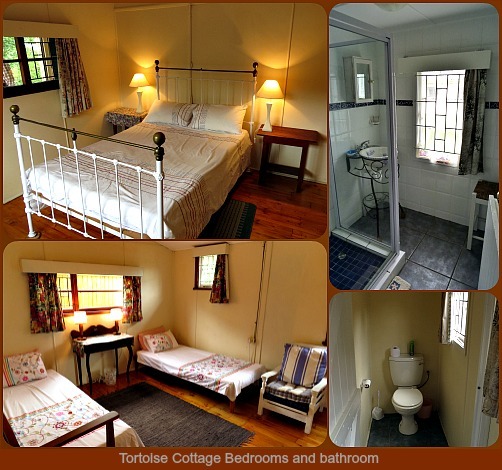 Both these cottages are in close proximity to each other so could also be suitable for two families wishing to go on holiday together. 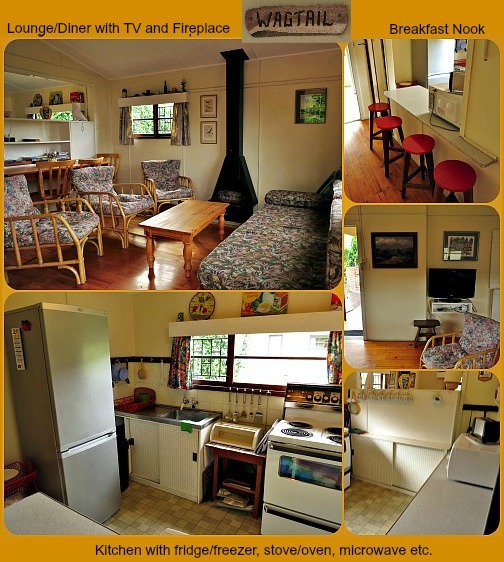 They are conveniently positioned for the beach and the town centre. If families wanted to enjoy some good exercise in our pure fresh air, bikes could be a great way to get around the village. Karen of Karefree Management is looking after the cottages and handling the rentals so for booking enquiries, please contact her by filling in the form below.